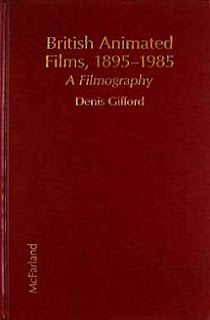 The fifth in a series of posts using Denis Gifford's book British Animated Films, 1895-1985: A Filmography to provide a decade-by-decade analysis of British animation's history. Disclaimer: Although wide-ranging Gifford's book is not perfect. He missed out several films and sometimes provided incorrect dates or crew information. I have done my best to correct any errors which I have found myself repeating in these posts. Run Adolf Run can be watched online here. The first film of the decade to be listed by Gifford is Joe Noble's Run Adolf Run. 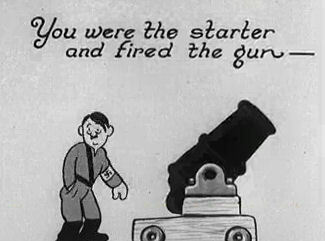 This sets the tone of the war years, when the animation industry focused largely on propaganda, albeit not always related to the war effort. The same year saw the release of Len Lye's Musical Poster No. 1, an abstract film which warned its audience that "the enemy is listening to you"; Adolf's Busy Day, from new director Lance White; and Kitten on the Quay, a film made for the Ministry of Food by another new name, Robert St. John Cooper. There were, however, also entertainment films in the form of Paul Kimberly's six-part Follow Me Sing-Song Series and some advertising films, Anson Dyer's I'm Forever Blowing Bubbles (promoting Rinso) and John Halas and Joy Batchelor's Train Trouble (promoting Kellogg's Cornflakes). 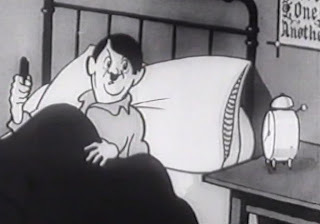 Lance White portrays the Fuhrer as a short-tempered incompetent in his slapstick Adolf's Busy Day. Gifford lists only three films for 1941, all of them directed by Halas and Batchelor: a political satire titled The Pocket Cartoon, an adaptation of The Brave Tin Soldier, and a Lux Soapflakes advert named Carnival in the Clothes Cupboard. The final film was produced by William Larkins, another person who would shortly become a key figure in British animation. The heroes of Halas & Batchelor's Dustbin Parade are tossed out onto the street, where a fence railing encourages them to enlist in the Army and be converted into clothing and weaponry. It should be noted that the years given by Gifford for Halas and Batchelor's films do not match up with the years provided on the Halas & Batchelor Collection's website. For one thing, the official site says that The Brave Tin Soldier was in fact released the previous decade, in 1938. But whatever the exact release dates, the pair became prolific at this time: promoting Lux Soapflakes again in The Fable of the Fabrics (both sources agree that this was in 1942); encouraging people on behalf of the Ministry of Agriculture and Fisheries to grow their own vegetables with Filling the Gap; detailing the importance of household waste for the war effort in Dustbin Parade; advising on the use of compost in Compost Heaps; giving advice on dealing with frost in gardens in Early Digging; encouraging viewers to save electricity in Cold Comfort; showing how old rags can be converted into nurses' uniforms in Cinderagella; or, From Rags to Stitches; teaching how to make do and mend in Mrs. Sew and Sew; advising audiences to post early for Christmas in Christmas Wishes; and making instructional films for the War Office, Tommy's Double Trouble and Six Little Jungle Boys, on the dangers of foot rot, venereal diseases and other such ailments in the Far East. Other propaganda films directed by the two during the war include Digging for Victory and Blitz on Bugs, made for the Ministry of Agriculture and Fisheries; Model Sorter, for the Ministry of Supply; and I Stopped, I Looked, for the Ministry of War Transport. 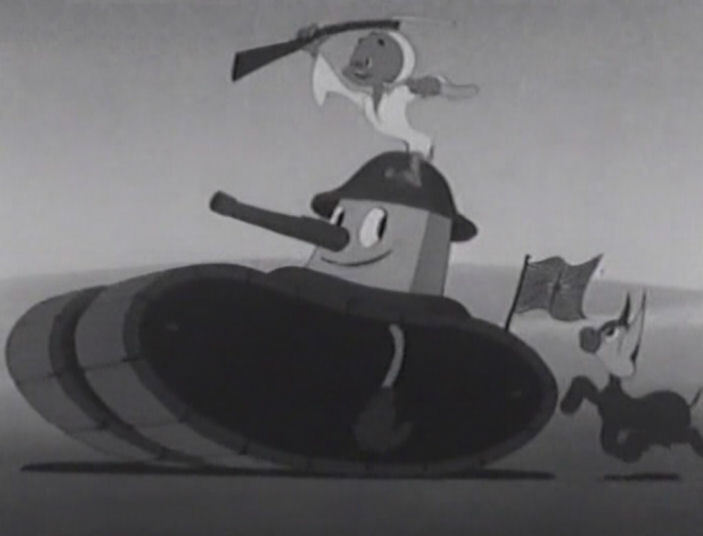 They also directed another Rinso advert, The Big Top, in 1945. Cold Comfort, viewable here, features anthropomorphic objects doing their bit to save resources. And these are just the stand-alone shorts. In 1943 Halas & Batchelor made a four-part series starring an Arab boy named Abu; these films were made for distribution in the Middle East, and saw their hero fighting off the Axis forces (portrayed by a Hitler-snake and Mussolini-frog) with the aid of a friendly British tank. Abu and his friends drive the Axis from the Middle East. But arguably the studio's greatest achievement was in 1945, when it completed Britain's first full-length animated feature. However, the 70-minute Handling Ships was an instructional film made for the Admiralty and was not made available for the general public. War in the Wardrobe portrays moths as wicked witches. Watch the film online here. 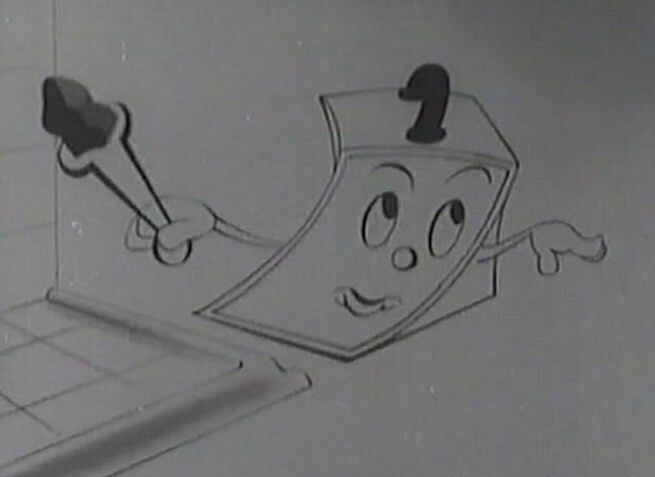 Meanwhile, Halas and Batchelor's sometime producer William Larkins began animating films himself. He directed Diphtheria No. 3 and Diphtheria No. 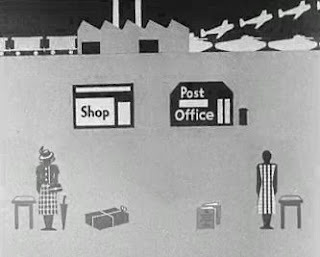 4 in 1943, which contained animated diagrams (the first and second in the series, however, had no animation); and in 1945 he made Summer Travelling for the Ministry of War Transport; War in the Wardrobe (which advised viewers on how to deal with moths) for the Board of Trade; and the bizarre-sounding The Meco-Noose Power Loader for the Ministry of Fuel and Power. Leather Must Last, which can be watched here, takes the story of the old lady who lived in a shoe as its inspration. Halas & Batchelor's Mrs. Sew and Sew and Larkins' The War in the Wardrobe were the second and third parts in the Make Do and Mend series; the first, Leather Must Last, was made by a company called Films of GB. Gifford does not identify a director. Nazi moth larvae in The Clothes Moth. Watch the film here. A director named Henry Elwis arrived on the scene in this decade with his own studio, Elwis Films. His 1944 film The Clothes Moth, AKA The Behemoth, is similar to Larkins' later War in the Wardrobe only with moths compared to Nazis rather than witches. Other films of his are It Makes You Think (on the dangers of carelessly-dropped cigarettes), A Ticket's Dream (on recycling for the war effort), Bristles and Brushes (showing old brushes being treated at the Brush Hospital), Bones Bones Bones (encouraging the donation of bones to the war effort), More Hanky Panky (for the Ministry of Health), Tombstone Canyon (Ministry of War Transport) and Writing's Worth While (for the War Office). Bones Bones Bones, which can be seen here, features anthropomorphic bones teaming up to be converted into fertiliser and glue for armaments. 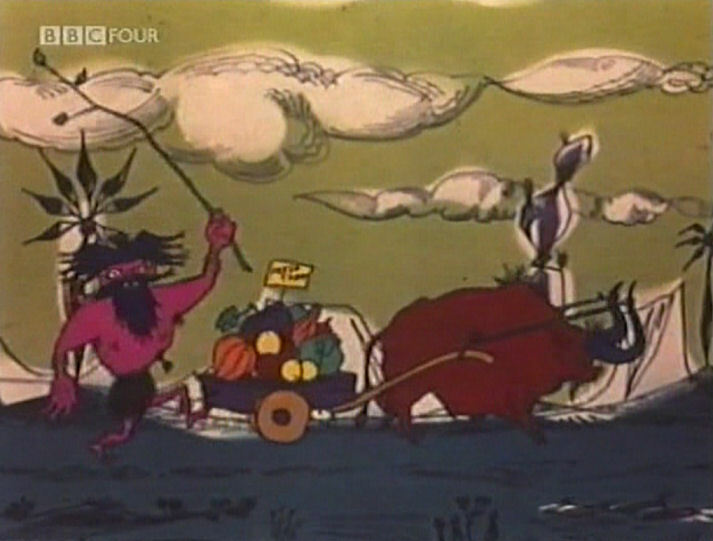 Other filmmakers creating propaganda animation during the war include Roger MacDougall and Alexander Mackendrick, who gave us Save Your Bacon (in which a farmer asks for kitchen waste to give to his pigs) in 1942 and cast Lewis Carroll's Walrus and Carpenter as scrap-salvaging heroes in 1943's Contraries, and L. Bradshaw, who directed Little Annie's Rag Book, in which puppets collect old rags. Meanwhile, Peter Strausfeld directed Peak Load for the Ministry of Fuel and Power, Salvage Saves Shipping and Skeleton in the Cupboard for the Ministry of Supply, and Tim Marches Back for the Post Office. 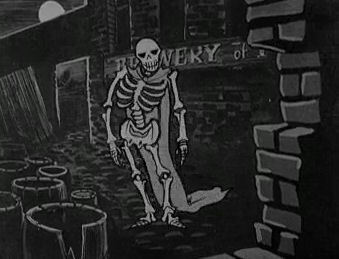 In Skeleton in the Cupboard (available for viewing here) ghostly George grows tired of haunting and has himself converted into a piece of artillery, after which he personally chases Hitler back to Berlin. 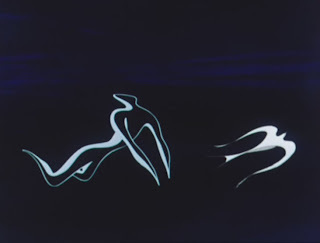 Carl Giles, who came to animation in the thirties, directed a few films in 1944. The Grenade features a Nazi eagle being defeated by the titular explosive; One Pair of Nostrils uses military imagery to tell its audience that coughs and sneezes spread diseases; and A Cautionary Tale involves a factory worker cutting his finger. One Pair of Nostrils, directed by the legendary Carl Giles, can be viewed here. Anson Dyer released a couple more films during these years: something from 1943 titled Behind the Clock, and a 1945 children's cartoon named Robbie Finds a Gun; and there are some more anonymous films listed by Gifford - 1943's Bob in the Pound, and 1944's Spending Money (AKA Save & Lend for Victory - Fifteen Bob). Spending Money, AKA Save and Lend for Victory - Fifteen Bob; watch the film online here. And finally, there is the 1943 film Calling Mr. Smith, funded by the Polish Film Institute and made by exiled Poles Stefan and Franciszka Themerson. Combining live action with still drawings and kaleidoscopic camera effects, the film is a documentary exposing Nazi atrocities. A heavily experimental approach to propaganda in Calling Mr. Smith. And so we come to the postwar years. Halas & Batchelor continued to make educational and propaganda films, including Old Wives' Tales, A Modern Guide to Health, This is the Air Force, The Keys of Heaven, Road Safety (possibly the film I posted about here), Fly About the House, R.A.F. - First Line of Defence, A Well Kept Machine, A Little Forethought, A Better Spirit, Start with What Is Under Your Nose and a trilogy of sorts consisting of Britain Must Export, Export or Die and Export! Export! Export! The studio also made advertising films, promoting Kellogg's Corn Flakes (Radio Ructions), Rinso (Good King Wenceslas), Oxo Cubes (Oxo Parade), Brooke Bond Tea (Dolly Put the Kettle On) and Bovril (What's Cooking?). Charley and his wife in Halas & Batchelor's Your Very Good Health. Arguably Halas & Batchelor's most notable achievements from across these four years are Water for Firefighting, a second feature-length instructional film; the Charley series, another venture into character-based propaganda; and The Magic Canvas, an experimental film. The Magic Canvas. See this post for more stills. The Larkins Studio also carried on making propaganda and educational films: Pacific Thrust, The Big Four or What to Eat, Join the Army, The King's Men, Roof Control, The Cyclist, T for Teacher and Men of Merit. The studio's output from this time also includes shorts based on traditional songs, The Lincolnshire Poacher and Widdicombe Fair, made for overseas release; and a single advertising film, Just Janie, promoting Halex Toothbrushes. Larkins' Men of Merit. See this post for more. A new major studio sprung up alongside Halas & Batchelor and Larkins: G-B Animation, fronted by former Disney animator David Hand. The studio started small, directing advertising films such as Sparky Goes Shopping, Smokey Goes Clean, Puddle Trouble and two Rowntree's Cocoa commercials starring a black boy named Coco (as an aside Publicity Films also made a Rowntree's Cocoa advert starring a black kid, Honeybunch and the Giraffe, at around this time). 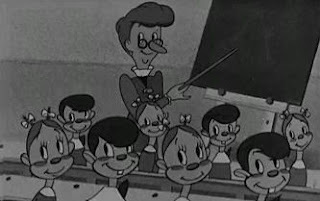 In 1948, as well as providing animated sequences for Derek Mayne's documentary Atomic Physics, the studio started three series of entertainment films: Musical Paintbox and Animaland, both of which lasted into the fifties; and the three-part Old English Cartunes Series. The studio went on to make the advertising films A Clean Sweep and Snowy Cleans Up. Sketches of Scotland, one of David Hand's Musical Paintbox cartoons. See this post for more. 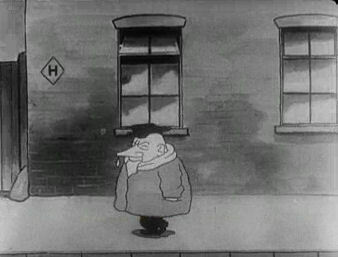 Another American who entered the British animation industry in this period was George Moreno Junior, a Fleischer animator who produced the Bubble and Squeek series at British Animated Productions. 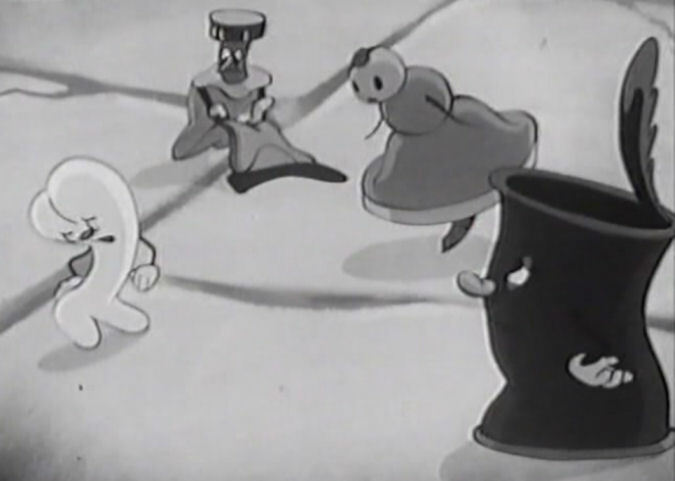 This series starred a taxi driver and his anthropomorphic cab and was directed by Harold Mack; it lasted for four shorts. The studio also put out Loch Ness Legend, a 1948 film starring a character named the Colonel. From what I can gather this character also appeared alongside Bubble and Squeek in The Old Manor House. 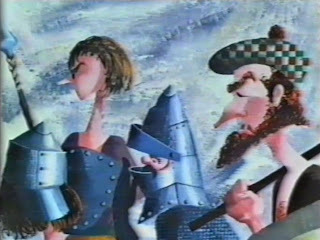 Stars of British Animated Productions: Bubble, Squeek and the Colonel. Meanwhile, Anson Dyer made the standalone 1947 children's cartoon Who Robbed the Robins? ; advertised Bush Radio with Bee Wise, E.T. 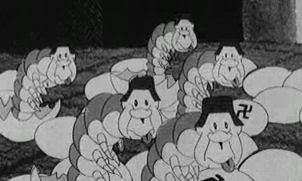 Green Ltd. with Farmyard Rising and Cherry Blossom Boot Polish with Cherry the Boots; directed what Gifford claims to be the first ever cartoon serial, the three-part Squirrel War; created the character Soupy, who promoted Symington's Soups in four films; and became the subject of a second documentary, Eric Owen's Cartoonland (AKA Make Believe). Other directors from the war years who were still active at this point are Henry Elwis, who made Brickmakers for the Ministry of Labour and Watch the Fuel Watcher for the Ministry of Fuel and Power; and Lance White, who delivered a paean to the Royal Mail in The Mail Goes Through. In the previous decade George Pal directed a number of Anglo-Dutch advertising films. 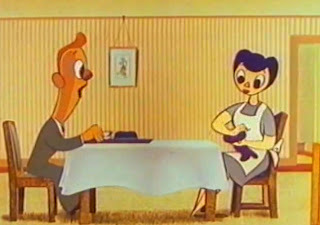 After the war, some of Pal's animators came to England to make similar adverts for Signal Films: Doolittle Makes Good and Top o' the Morning (advertising Horlicks); Mousewife's Choice (Persil); and A Change for the Better (the Cooperative Wholesale Society). 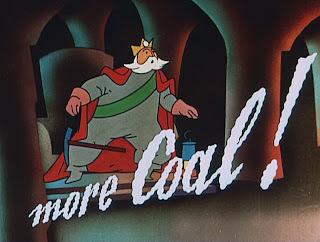 Old King Coal, a propaganda film by German animator Julius Pinschewer. More stills here. 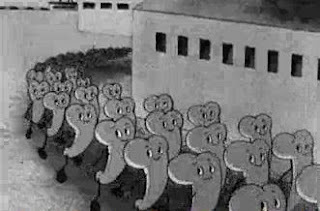 A studio named Basic provided animated sequences for the How What and Why Series, which dealt with such subjects as what elephants can do with their trunks; the same outfit also made Long Long Ago and its follow-up And Now Today for the British Gas Council. 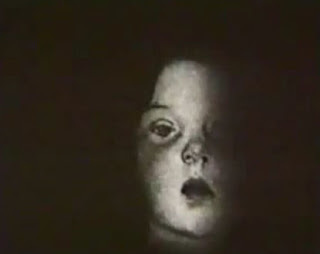 Dudley Ashton of the Blackheath Film Unit directed Trouble in Toytown for the Royal Society for the Prevention of Accidents, in which a live action boy sees his toys become involved in a stop-motion traffic accident; while Frances Rodker and A.J. Shaw animated How an Aeroplane Flies for the Shell Film Unit. Meanwhile, distinguished German animator Julius Pinschewer animated Old King Coal for the National Coal Board. And finally, there's the six-part Let's Sing Together series. The first short, The Wraggle Taggle Gipsies-O, was made by Diagram Films (the director is not named by Gifford) while the second, One More River, was animated by Mina Woolfe and Reg Jeffreys for Science Films. After that the series began to act as a kind of who's who of the period's animation talent: Anson Dyer directed Dashing Away with the Smoothing Iron; Halas & Batchelor handled Heave Away My Johnny and David Hand made Bound for the Rio Grande. The final film in the series, Oh No John, is again uncredited by Gifford. During the forties the industry moved away from advertising - its bread and butter in the thirties - and towards government propaganda, an area which remained in demand after the war. 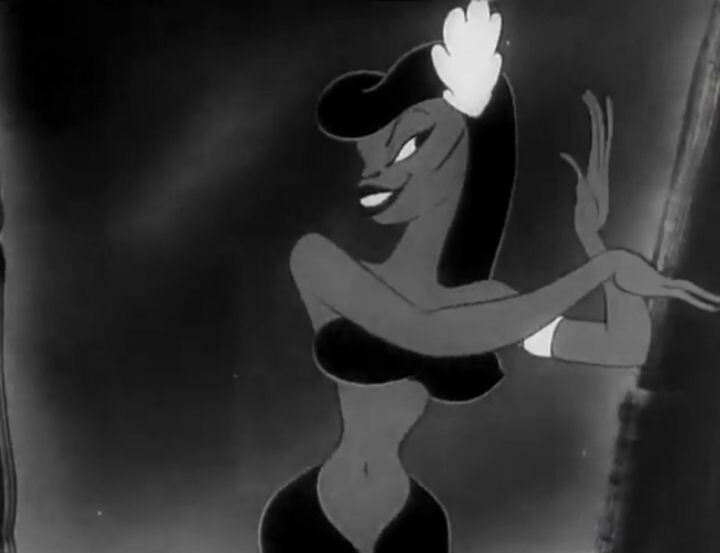 The experimental animation that reached a new height in the previous decade seems to have largely died out, but in its place came a wave of mainstream animation of great technical proficiency, including a return to entertainment series courtesy of G-B Animation. 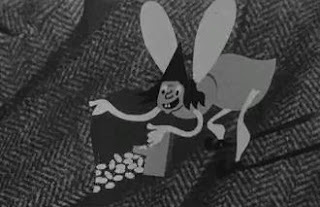 In the next post in this series I will be covering the fifties, the decade in which Halas & Batchelor continued their work in feature films, Lotte Reiniger made her return, and experimental animation found a new benefactor in the BFI. Ub Iwerks, Gran'pop Monkey and Cartoon Films Ltd.